Cuba has got a lot of problems. One of the last truly communist countries left, it deals with poverty, crime and dictatorship but despite all that, it’s a country more vibrant and alive than I’ve ever seen. 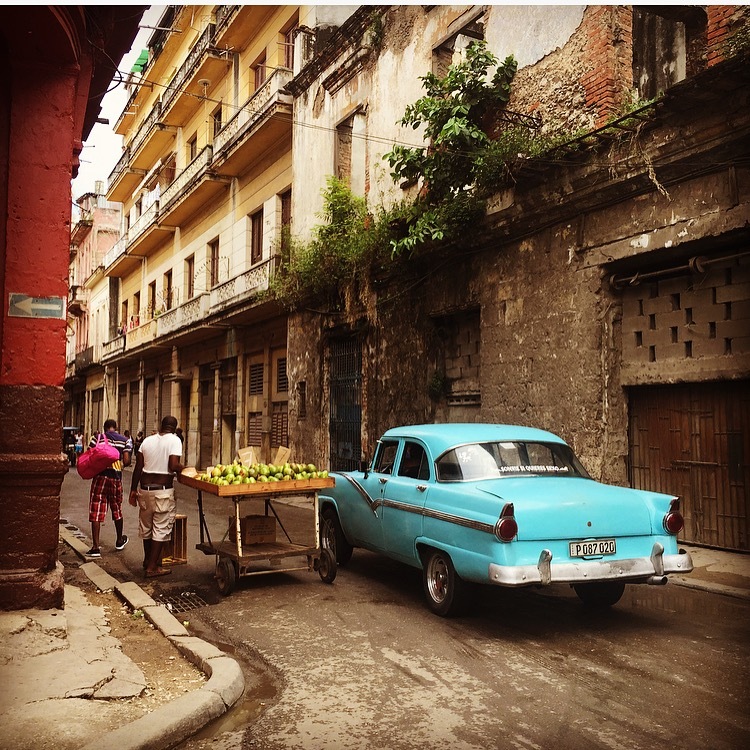 Walking in Havana, between crumbling walls and decaying buildings are vibrant bursts of colour. A turquoise vintage car: still in use as new car imports were until recently, banned, a stall selling homegrown fruit, a mural painted on the wall. However despite its oppression, the vibrancy of colour in the city shows that Cubans are getting their message out in other ways. The winding paths connecting the most popular cities, Havana and Trinidad are run down beyond repair but this journey is still shrouded in colours. When we’re away from the vividness of the blue Caribbean sea, we’re by Cuba’s forest which is lush and tropical. On the road we pass vintage car after vintage car in exotic colours. By the road are fruit sellers with banana bunches and guavas in baskets to be sold by those driving by. Arriving in Trinidad, we’re struck by the boldness of this place. Street after street of multi-coloured one floor houses make up this town. It’s a popular tourist destination yet under the intense heat, it’s empty. With horses and carts going past us, Trinidad feels like we’ve stepped back in time in to an American Western film, except this scene definitely isn’t in black and white. A need for money has meant Cuba is increasingly welcoming in more and more tourists with direct flights now coming in from the US. However the country still has a lot of problems to solve. Despite its recent openness, Cubans are still not allowed to leave the country freely. Our guide tells us that he dreams of going to Paris, London and New York but instead he’s forced to drive between Cuba’s’ cities. News of the world outside is closely monitored and regulated. Our driver tells us he was once a lecturer at university but communist ideals mean that everyone is on an equal wage, where even doctors and gardeners earn the same. “It’s better working as a driver then a professor, because I get tips”, he tells us. You can still clearly see evidence of US sanctions. Food is limited and can be tedious. We enter a market with an aisle full of biscuits, all the same brand, the next aisle juice, all the same brand. Although what it lacks in food, it makes up with its liquor. True to the stereotype, Cubans are a race of rum drinkers. It’s where Bacardi rum originated from back in the 1800s, and now most drinks centre around the liquor or Havana club rum. The most popular drink being the Cuba Libre: Rum and Coke. In Havana we are enticed into a bar by jazz music, while sheltering from a rain shower. We find a low-key bar, easily missed if it wasn’t for the music. Inside we had the strongest Mojitos. The bar is jammed full of locals and tourists united, captivated by the mellow music of the jazz band. Inside this packed bar, as we all shelter from the raging storm outside, there’s a feeling that change is coming to the country. Despite all of its problems: the rations and poverty, Cuba’s future is bright. I hope you enjoyed this post. Feel free to contact me if you have any questions about Cuba or any other destination. I’ll be happy to help. Click here for more inspiration for Central America and the Caribbean.